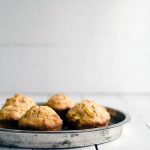 These Spiced Acorn Squash Apple Muffins are exactly the type of breakfast one craves in the winter months- slightly sweet and full of spice. I’ve been known to bake muffins when life gets tough. When Hurricane Sandy was approaching DC last year, I found myself in the kitchen frantically preparing muffins even though we knew the power could go out at any moment. It didn’t matter. For me, there is a certain zen calm that occurs when I’m baking muffins. It’s soothing. It gives me a purpose. It somehow makes me feel in control in an otherwise chaotic situation. 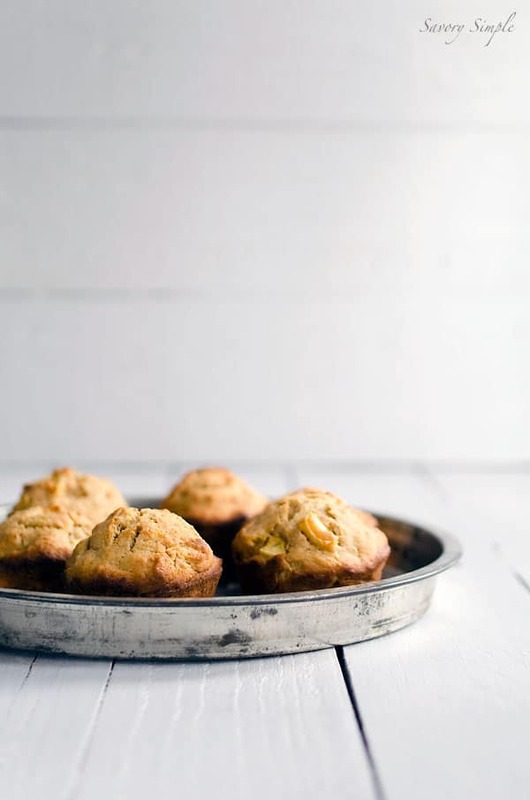 These spiced acorn squash apple muffins served exactly the same purpose. We’ve been dealing with a health crisis here and I’m feeling very powerless. We recently discovered that Jeff has herniated 2 discs in his neck and will likely need surgery within the next few weeks. I hate watching him in pain and knowing there is absolutely nothing I can do to fix it. It’s really the worst feeling. Hopefully things will improve soon. For now all I can do is be strong and supportive, keep the house nice and clean and make him his favorite meals. And muffins, of course. Position the oven rack in the center and preheat the oven to 400 degrees F. Grease a standard 12 muffin pan or line it with paper cups. Whisk/sift together the all purpose flour, whole wheat flour, baking soda, sea salt and pumpkin pie spice. In a stand mixer with the paddle attachment (or using a hand mixer), cream the butter and sugars together on high speed until light and fluffy. Turn the speed down to low and add the eggs, one at a time, allowing each to incorporate completely for about 30 seconds. By hand, stir in the the vanilla, acorn squash and buttermilk. Do not over-mix or the batter might break (the muffins will still be fine if it does, you'll just want to move more quickly). Once the wet ingredients are combined, stir in the flour mixture by hand, followed by the chopped apples. 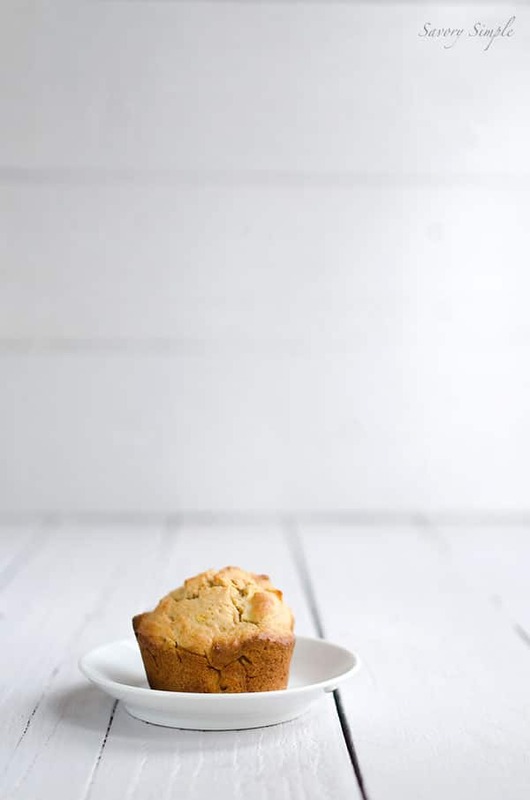 Use a muffin scoop to evenly distribute the batter into the prepared muffin pan. Bake for 20 minutes. Allow to cool before serving. There are several ways to prepare pureed acorn squash. I sliced the acorn squash in half, scooped out the seeds, rubbed a bit of olive oil on the inside and then roasted it in the oven at 400 degrees F for a little over an hour. The length of time will depend on the size of the squash, test it with a fork. Once the squash is cooked, allow it to cool and then scoop out the flesh and puree it with a food processor or hand blender. I used 6 table spoons of butter and 3/4 cup sugar, all brown. Less liquid was compensated with extra 1/4 c of the squash purée. I also used all whole wheat flour. Also added a small dose of finely chopped ginger as I like ginger in acorn squash recipes.